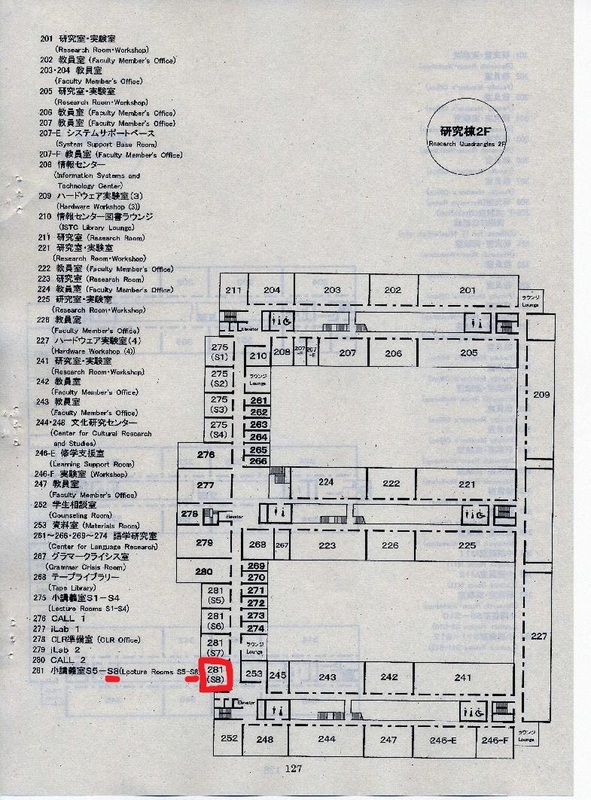 Place: University of Aizu, Research Quadangles Bldg, room 281 (S8): Floor plan of the Research Quadangles Bldg is attached at the bottom; Room281 (S8) is marked red. Abstract: Non-nuclear thermal power plants are responsible for emitting a large amount of carbon dioxide, as well as sulfur dioxide and nitrogen oxides. In this talk we will present state-of-the-art solution techniques for unit commitment and load dispatch, which can be used for optimizing fuel consumption when meeting electricity demand with thermal power plants. We will put in evidence the impact that the use of recent models and solvers may have in energy savings and in the reduction of emissions. Bio: Dr Pedroso is Assistant Professor in Departamento de CiÃªncia de Computadores (Department of Computer Science) at University of Porto, Portugal. He has PhD in Computational mathematics, UniversitÃ© Catholique de Louvain, Belgium. His research interests include, combinatorial optimization, tree search methods, metaheuristics, simulation and machine learning. Hitoshi Oi is headed to Arlington, VA (a city west of Washington D.C.), to attend MASCOTS’12. He will present a poster (co-authored with Sho Niboshi) and chair the Execution Tools session. 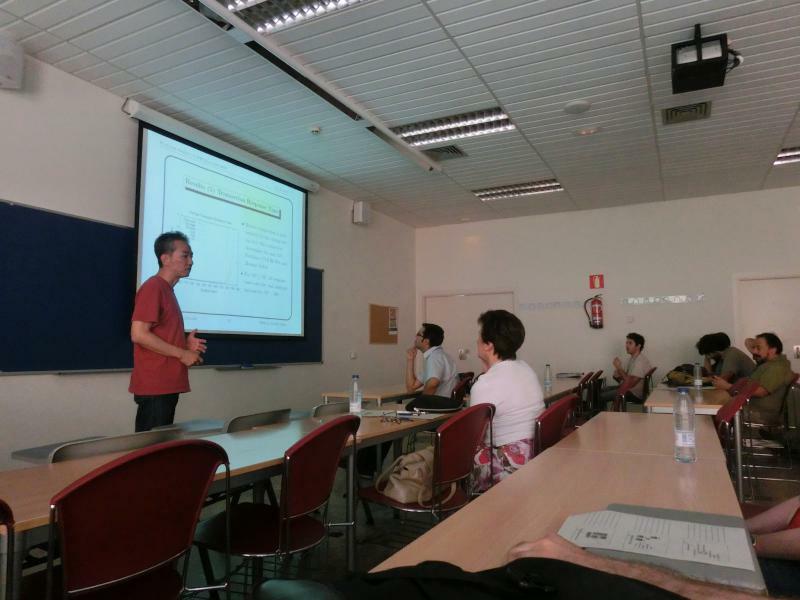 Hitoshi Oi visited Leganés to present a paper titled "Workload Analysis of SPECjEnterprise2010" (co-authored with Sho Niboshi) at the 10th IEEE International Symposium on Parallel and Distributed Processing with Applications (ISPA-12). 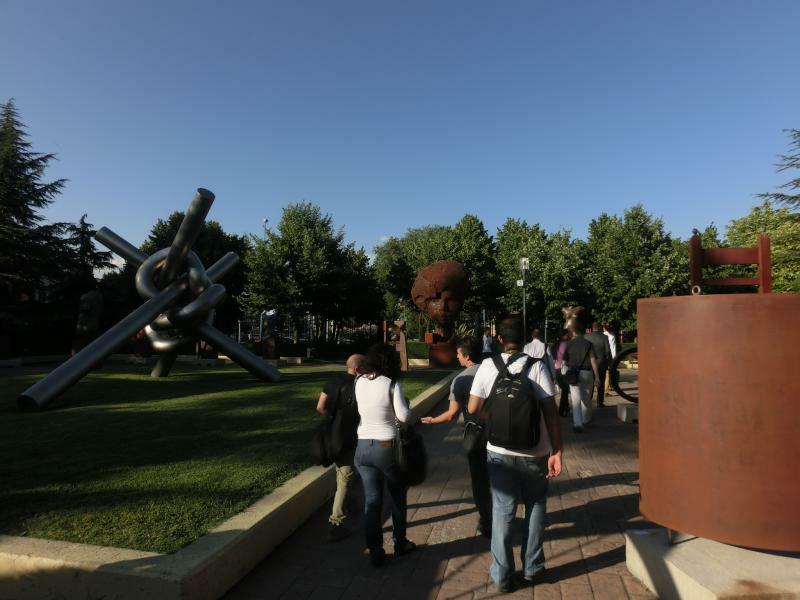 ISPA-12 was held at Universidad Carlos III de Madrid in Leganés (south of Madrid), which included technical sessions and keynotes, and also short walking tours of the city of Leganés and the university campus. 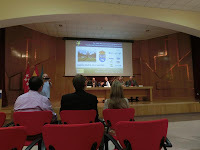 We also had a reception (with the mayor of the city of Leganés) and a social dinner at Realcafe Bernabeu. 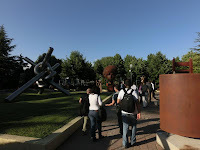 Hitoshi Oi will chair the Track 2 Architectures and virtualization at ISPA 2012 ( detailed program in pdf), which takes place on July 12, 2012*. This effectively means that the delay of author notification. We are sorry for the inconvenience this may cause and appreciate your patience. Please send any inquiry specific to NMT2012 to nmt2012@oslab.biz (general inquiries on MSoC-12 should be directed to info@ieee-mcsoc.org). A paper titled "Workload Analysis of SPECjEnterprise2010" has been accepted for presentation at the 10th IEEE International Symposium on Parallel and Distributed Processing with Applications (ISPA 2012). The paper is authored by Hitoshi Oi and Sho Niboshi and describes the workload behavior of each transaction type on the servers (application and database) of the SPECjEnterprise2010 system. 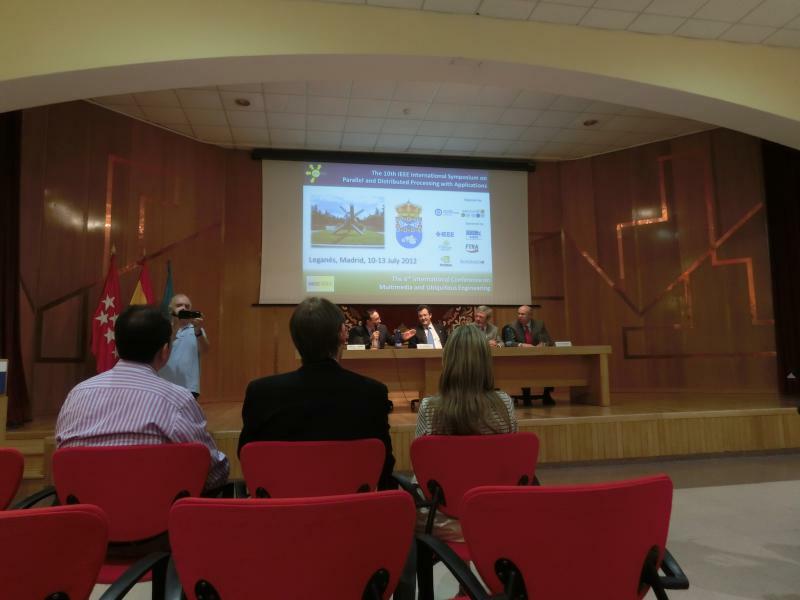 ISPA 2012 will be held at Universidad Carlos III de Madrid in Madrid, Spain from 10 to 13 of July. On March 30, we will host the 37th meeting of SIGEVA/IPSJ. As an ivited speaker for the meeting, we will welcome Dr João Pedro Pedroso from University of Porto, Portugal. Aizu and Porto have agreement on the exchange programe development, and he hosted an exchange student from Aizu, and also visited us in December 2010 and gave us a special lecture.